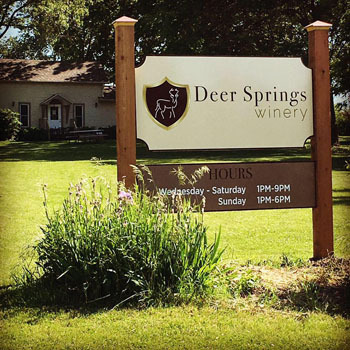 Get a $50 voucher to Deer Springs Winery for just $25! 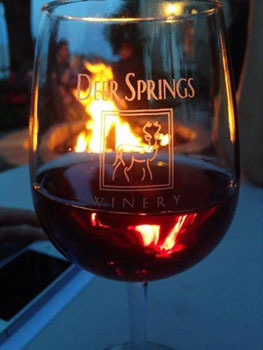 Deer Springs Winery is not just a destination, it's an experience. 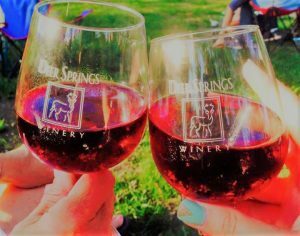 You can sit under the trees or stars around a warm cozy fire pit while enjoying live music every Friday night from 7p-9p, or take a stroll through the vineyard to the pond. A very peaceful and relaxing atmosphere!